When seedlings of rice (Oryza sativa L.) cultivar Pant-12 were raised in sand cultures containing 80 and 160 μM Al3+ in the medium for 5–20 days, a regular increase in Al3+ uptake with a concomitant decrease in the length of roots as well as shoots was observed. Al3+ treatment of 160 μM resulted in increased generation of superoxide anion (O2 −) and hydrogen peroxide (H2O2), elevated amount of malondialdehyde, soluble protein and oxidized glutathione and decline in the concentrations of thiols (-SH) and ascorbic acid. Among antioxidative enzymes, activities of superoxide dismutase (SOD EC 1.15.1.1), guaiacol peroxidase (Guaiacol POX EC 1.11.1.7), ascorbate peroxidase (APX EC 1.11.1.11), monodehydroascorbate reductase (MDHAR EC 1.6.5.4), dehydroascorbate reductase (EC 1.8.5.1) and glutathione reductase (EC 1.6.4.2) increased significantly, whereas the activities of catalase (EC EC 1.11.1.6) and chloroplastic APX declined in 160 μM Al3+ stressed seedlings as compared to control seedlings. The results suggest that Al3+ toxicity is associated with induction of oxidative stress in rice plants and among antioxidative enzymes SOD, Guaiacol POX and cytosolic APX appear to serve as important components of an antioxidative defense mechanism under Al3+ toxicity. 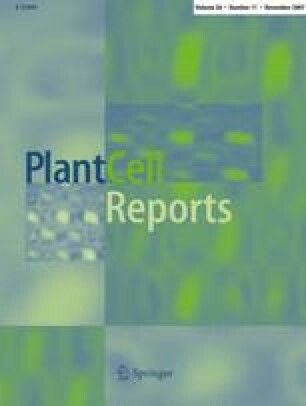 PAGE analysis confirmed the increased activity as well as appearance of new isoenzymes of APX in Al3+ stressed seedlings. Immunoblot analysis revealed that changes in the activities of APX are due to changes in the amounts of enzyme protein. Similar findings were obtained when the experiments were repeated using another popular rice cv. Malviya-36. We gratefully acknowledge Dr Ishikawa of Faculty of Life and Environmental Science, Shimane University, Japan for the gift of APX antibody. We are thankful to Dr Yoko Yamamoto of Research Institute for Bioresources, Kurashiki, Okayama University, Japan for providing the facilities related to image analysis of our photographs using image analyzer model LAS-1000 Plus Fuji Photo film Co. Ltd., Japan and to Hirotoshi Motoda for assisting in the analysis of images. PS is thankful to the Council of Scientific and Industrial Research (CSIR), New Delhi for providing a Senior Research Fellowship.